With the semester underway it is vital for instructors to identify students who are at-risk of poor class performance early in the term. Depending on the size of the class, this can be a difficult task. 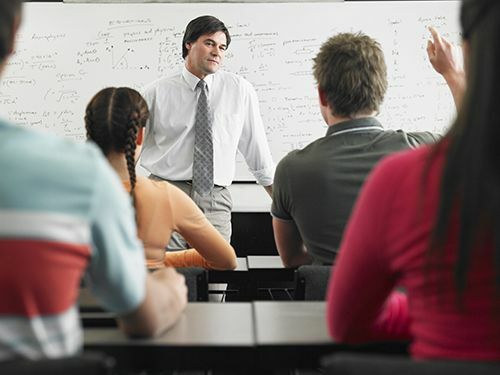 Yet the earlier instructors are able to identify potentially at-risk students the quicker successful intervention strategies and help can be offered – potentially being the difference between a student continuing or dropping out of higher education. Poor Grades / Failure to Submit Assignments: Poor grades are probably the most obvious means of detecting at-risk students. Generally, by the third week of my class, students have had various homework assignments and the first exam was completed. One very valuable report that I utilize for insight is the McGraw-Hill's Connect At-Risk Report. The Connect At-Risk report analyzes patterns of student’s online activity (frequency of logins and assignment submission) to determine the student’s engagement level in the course to date. The more an instructor uses Connect in their course, the more data that is compiled on each student’s engagement. The report categorizes students into three risk categories: safe, keep watch, and at-risk. The report also allows the instructor to directly email students who are classified as "keep watch" or "at-risk". Absenteeism / Tardiness: If a student is not attending class or is frequently late is another good indicator of at-risk behavior. In online or hybrid courses, students who haven’t logged in to view assignment, view notes/PowerPoints, or "attend" any online activities in the first few weeks of the semester are likely also exhibiting high at-risk behavior. Low or Non-Existent Participation: particularly at the beginning of the semester, when instructors don’t have a lot assignment data or missed classes to go on, students who don’t participate in any aspect of the class might be confused and at-risk. While difficult to identify, after all some students are simply shy and some classes sizes make participation impractical for all students, consistent refusal to join in to class discussions, complete in-class activities, take notes, or follow classroom lectures can be an indicator of at-risk behavior. Mood Swings / Changes in Behavior: Mood swings and changes in behavior are the most difficult of the indicators to detect. First, if class sizes are large it may be hard to get to know students well on a personal level, and when/if you do get to know students it may not occur to later in the semester. There are many factors outside of the classroom that can cause the students to exhibit poor performance in class (family issues, roommates, health issues, homesickness, etc.). If students are being affected by outside the class stressors, they may generally have a difficult time sharing their concerns with their instructor/adviser. Once a student is identified as at-risk by their instructor, what are some steps that can be taken to intervene? 1:1 Discussion - First, it is important to have a discussion with the student. If it appears grades are the primary/only issue, having a conversation and assisting with study skills or academic tutoring may be the only help they need. Alerting Others & Additional Resources - If others in the institution should be notified regarding a student, an early alert system is very beneficial. At my institution, an instructor can in one submission alert the dean, the student’s adviser, the academic support center, the counseling center and student’s coach (if applicable) regarding the potential issue the instructor is witnessing in the classroom. If your school doesn’t have an early alert system, utilize the resources that are available to the student like the student advisers or academic support center. The student advisers should be able to see what other classes the student is struggling in and how this individual can be best assisted. Once alerted, the various parties can reach out to the student with resources and support that may be helpful (e.g. the academic support center will send the student the times for tutoring sessions provided in that discipline). It is critical to not disregard the warning signs of an at-risk student. In most instances, what a student really needs is the personal connection to show them that you care and want to help them to succeed in your course. 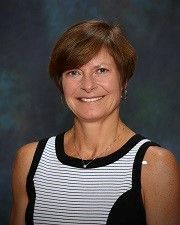 Teri Zuccaro, CPA, CGMA, is an accounting instructor at Clarke University in Dubuque, Iowa. She earned her bachelor's and master's degree from The University of Iowa. She is a Digital Faculty Consultant for McGraw-Hill Higher Education and is a Peer Reviewer for the Higher Learning Commission.